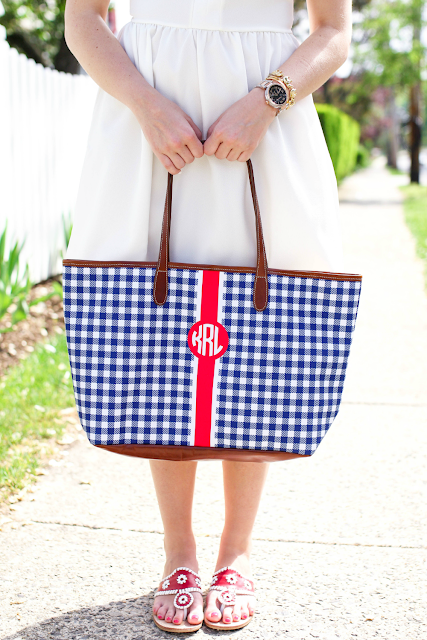 Anyone else really excited for Memorial Day this weekend? I'm getting ready for lots of time spent with family, friends and FOOD! While I'm not one to follow the "no white rule" (see here and here), it's always fun to wear white on Memorial Day to celebrate. This dress came just in time and is actually perfect for the weekend. 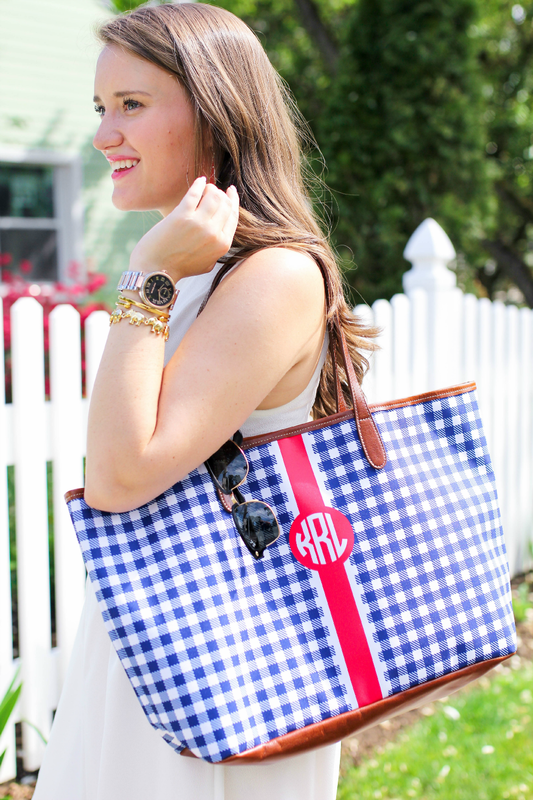 Not only is it under $50 but it's super lightweight. For the weather we've been having recently, this is a must. I was even sweating taking these photos and you can't even tell! 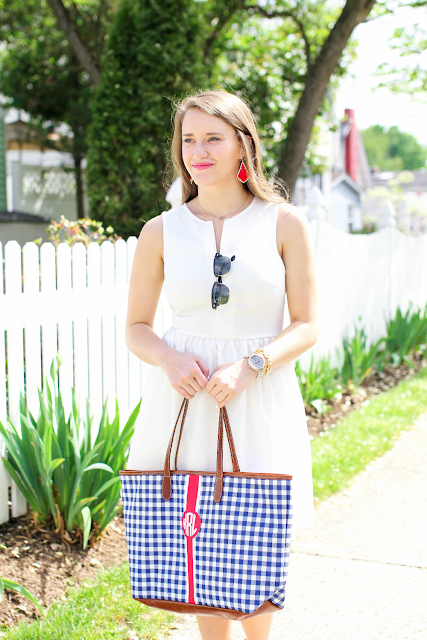 And of course you can't wear white this weekend without some red and blue. 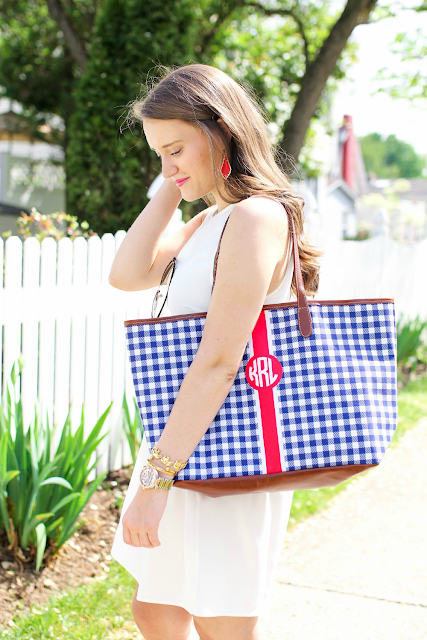 This monogram gingham tote is perrrrfect for this weekend (and all summer really). 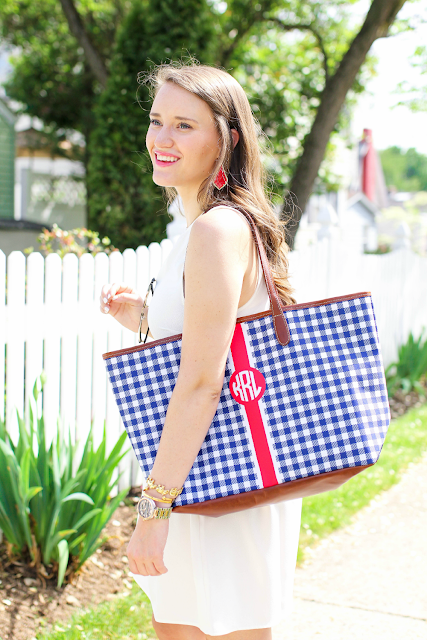 Can anyone really say no to gingham?! 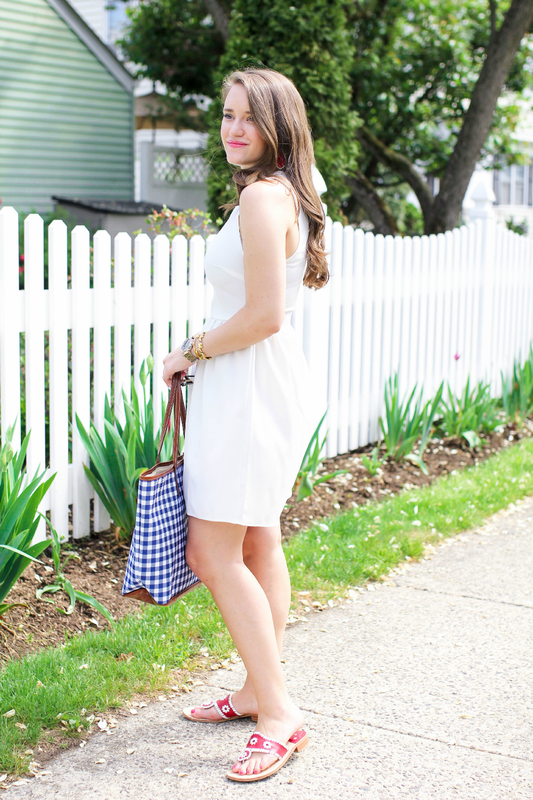 Love the dress, thanks for sharing! That Barrington tote is adorable. I want to order one but can't make up my mind on which combo to go with! I'm definitely excited for Memorial Day weekend. Sunday is my birthday, AND it's a three day weekend. Can't get much better than that!